Frankie Lemmon School offers to children with and without special needs and their families. Click HERE to make your online gift now! Did you know many companies match donations made by their employees to our organization? Ask your employer if you have a matching gift program to easily double or triple the impact of your gift! You can make a gift today through your Visa, American Express, Discover or MasterCard. Your donation can post immediately or be divided into installment payments. Call 919-845-8880 and a staff member will process your gift. Brokerage: Charles Scwhab & Co. Inc.
Account Name: Frankie Lemmon Foundation Inc. Adding a gift for charity to your will or retirement plan is a simple act with impressive consequences. This is major philanthropy almost anyone can do. After providing for heirs, a donor can specify that some or all of the remaining assets be given to the Frankie Lemmon School, thereby achieving a lasting purpose and reducing the taxable purpose of an estate. Suggested language: “I give, devise, and bequeath [the following property, $__, or % or my estate] to the Frankie Lemmon School. Assets held in qualified retirement plans or individual retirement accounts (IRAs) may be contributed to charity. The donor may name the Frankie Lemmon School as the designated beneficiary of retirement account assets upon his/her death or the death of family beneficiaries. The Frankie Lemmon School may be named as the owner and beneficiary of a previously existing or new life insurance policy. The donor receives an immediate tax deduction which is generally equal to the policy’s cash surrender value. The donor may make ongoing tax-deductible gifts to ensure continuation of premium payments. Gifts of appreciated securities and real property may provide important tax advantages to donors who have held assets for more than one year. The full fair market value of such gifts may be deductible as a charitable contribution. In the case of restricted or closely held stock, real estate or other unusual assets, the proposed gift may require an appraisal and review by the Frankie Lemmon School counsel and approval of the Frankie Lemmon School Board of Directors. A donor may wish to make a contribution to the fund but also receive an income interest. Certain charitable trusts may deliver important advantages in financial and estate planning and also enable charitable gifts to the fund. We count on the support of donated goods and services to meet the needs of our students and create quality programs. In-kind support helps our preschool teachers create a welcoming and quality educational environment. Please visit our Amazon Wish List and help us furnish our new classrooms and prepare our students for success. Before shopping on Amazon, visit AmazonSmile and search and select Frankie Lemmon School. After you choose our school, you are ready to shop! AmazonSmile will donate 0.5% of your purchase to our school. Don’t forget to ask your friends and family to add us on AmazonSmile too! When you use your VIC card, ask the clerk to link your card to Frankie Lemmon School ID Code 2569 and a percentage of your purchase will go to the school. VIP cards must be re-linked every year. Ask customer services to link your PLUS card at Kroger to Frankie Lemmon School ID code #85635. A percentage of your purchases will be applied toward the Frankie Lemmon School account.The school is able to purchase catalog items needed for the school at the end of the school year. You must re-register each September. Buy qualifying school supplies with ID 70062168 and Frankie Lemmon School will receive credits to 5% of the qualifying purchases for free supplies. Please send in used ink cartridges to be recycled for our Staples rewards programs. 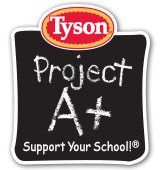 Frozen Chicken Project A+: Please clip the section “Tyson Project A+ Support Your School” on Tyson boxes and frozen bag items. Each A+ clipping redeemed is worth $.24. Want to learn more about ways to volunteer, get involved, or have your child attend Frankie Lemmon School? Are you interested in attending the Triange Wine Experience, the Golf Classic, or learning about all that our foundation does? Please send us a message.